I was never bored throughout the movie. Loved the romance between Ellen and Landon Pigg (my love for him increased with this movie). Kristen Wiig, always the best (though I prefer her more in SNL). And I think what I loved best was that Drew didn't give herself such a big character. She was a team member and her character was a few cards short of a deck. I think that's also a reason why I enjoyed this movie because the actor-turned-director didn't try to promote herself through her own movie. Her work did it all for her. 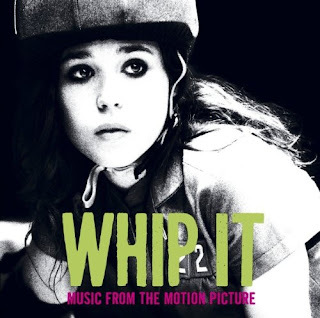 My name is Eden and I recommend "Whip It!" p.s. New song (Awake My Soul, Mumford & Sons) in "Favorite Songs For The Time Being"
I liked this movie a lot. We should go to the underground roller derby in Spanish Fork.